A man who had previously been arrested on domestic violence charges twice and released pending trial, shot and killed his ex-girlfriend on the street on Tuesday, NBC New York reports. Law enforcement sources told NBC New York that Kareem Dawson, 31, chased after and shot Tiffany Wilson, 28, who was the mother of his two children. Wilson had reportedly just moved out of a domestic violence shelter, and had a restraining order out against Dawson. Dawson shot himself in the head while fleeing police, authorities say, but survived and has been charged with murder. NJ.com reports that Dawson was arrested twice on domestic violence charges involving Wilson—first in October, and again in December, when he was taken into custody at gunpoint after apparently assaulting Wilson and attempting to abduct their children from daycare. In that incident, he was charged with unlawful possession of a weapon. 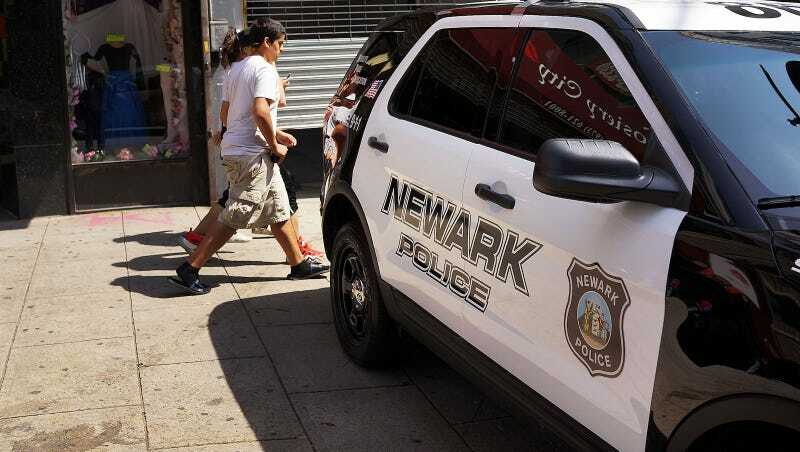 In response to this tragedy, Newark mayor Ras Baraka pointed to what scans as an unlikely cause—criminal justice reform. “What happened this morning is a sobering example of why the flaws in bail reform must be fixed,” Baraka said on Tuesday. New Jersey’s bail system was overhauled based on the increasingly accepted fact (outside of Jeff Sessions’ Justice Department) that traditional monetary bail systems unfairly target the poor and shield the wealthy; the New Jersey Drug Policy Alliance found that previously, around 75 percent of New Jersey’s jail population was awaiting trial, and 40 percent were there because they couldn’t afford $2500 (or less) in bail. New Jersey’s new bail reform system is based on an algorithm that calculates whether a particular defendant is too dangerous to release. Police and city officials, however, complained that dangerous criminals were being released back onto the streets, and tweaks were made to prosecutorial guidelines to ensure that repeat offenders and people accused of gun crimes were more likely to be denied bail. NBC reported in August that a “risk assessment tool” had recently been put in place in New Jersey to determine whether a domestic violence offender was likely to cause harm in the future. A judge still has the final say in the matter, but in this case, they evidently did not see fit to keep in custody a repeat domestic violence offender who had kidnapped his children. As the ACLU’s Ezekiel Edwards told Wired back in 2016, “algorithms and predictive tools are only as good as the data that’s fed into them.” 72 percent of all murder-suicides involve an intimate partner, and 94 percent of the victims in these cases are women. 55 percent of women killed in the United States die in an incident related to intimate partner violence; nearly three women are killed every day in America by intimate partners. The effectiveness of restraining orders in such cases has long been questioned. And one would surely think that domestic violence offenders would be automatically noted as likely to cause harm in the future, since domestic violence has the highest repeat rate of all violent crimes.